We pray for those we know who are in need of healing today, the sick in body, mind or spirit. Surround them with your love and tenderness and give them the blessing of your peace. 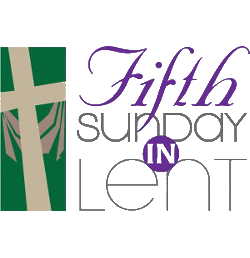 From the Bishop's letter :- "This year's Lent Appeal is called 'From Slavery to Freedom'. Our Christian faith celebrates the dignity of every human person; made in the image of God our creator, and constantly challenges lack of respect and honour wherever it occurs. Alongside the focus on international trafficking, we will also support local charities that are preventing and responding to the mistreatment of women and girls." Baskets are available at the back of the churches if you wish to donate, also envelopes if you would like us to reclaim the tax through the Gift Aid scheme. If you would like to be on the Electoral Roll for either church, application forms can be found at the back of each church. The rolls will be closed for 14 days before the APCMs for revision. [Not a general revision this year] They will re-open after the APCMs. St Peter's APCM is on Sunday 2nd April at 11.30am. St Helen's APCM is on Sunday 30th April at 11.30am. The Seaview, St Helens and Brading Haven branch of the RNLI will be holding their AGM on Wednesday 5th April at 11.00am at the Northbank Hotel Seaview. All are welcome and coffee will be served. The Annual spring lunch will take place at the Northbank Hotel on 5th April 12.30pm for 1.00pm. Tickets available from Bookworm at £12.00 each. 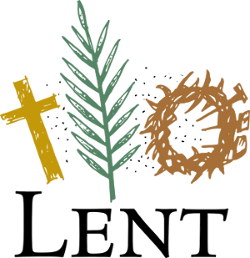 The weekly bible study / house group which has been meeting at Sylvia's has now finished the Lent course and will take a break until Monday 24th April when the schools return. This group will meet again on Wednesday 5th April to ensure the gardens are looking their best for Easter. Helpers are always welcome whether or not you think you have green fingers! Come and enjoy the fresh air, some light work and refreshments. The group continues to meet in St Peter's hall on the first Friday of each month. Our next meeting is on Friday 7th April at 2.00pm. Everyone is welcome.